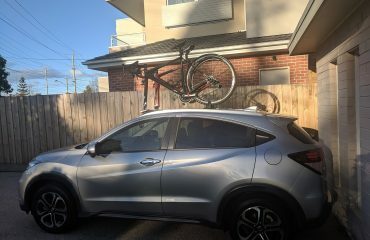 At SeaSucker Down Under we are accustomed to developing bike rack solutions for all cars. 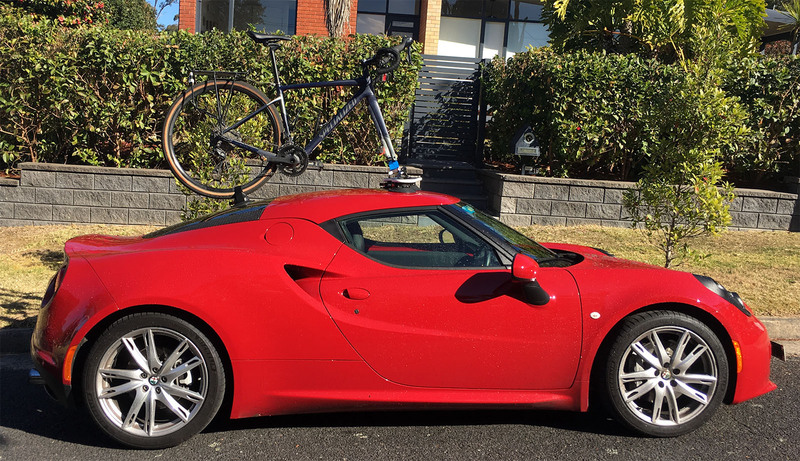 When Andrew contacted us looking for an Alfa Romeo 4C Bike Rack we knew this would be a challenge. 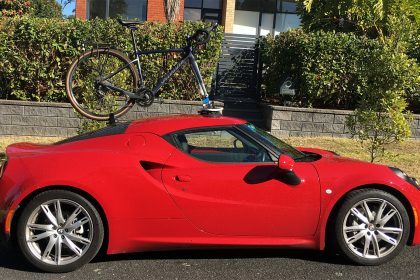 An Alfa Romeo 4C Bike Rack solution is new to us, however, with Andrew’s help we were confident we could identify the right solution. Our biggest concern was roof flex. Typically most high-end Sports Cars have wafer-thin roofs to reduce weight. It was for his reason we recommended the SeaSucker Mini Bomber due to its wide footprint. As a result, the Seasucker Mini Bomber spreads the load over a greater surface area. It also gives Andrew the flexibility of carrying two bikes or bolting on an Add-On Front Wheel Holder in the centre of the mainboard. 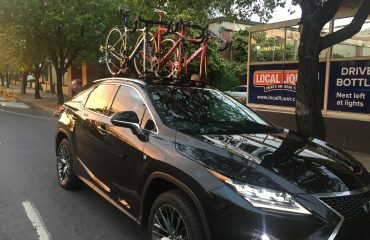 Andrew has several road bikes with Quick-Release Front Wheels. He also has a road bike has a disc brake front end and a 12 mm x 100 mm Through-Axle front wheel. The obvious choice here was to use the Fork Up Envy Road 12 mm x 100 mm Through-Axle Adapter. 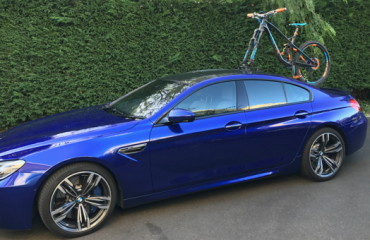 We also included Andrew’s Alfa Romeo 4C Bike Rack in our Mini Bomber – Sedan & Sports Cars Installs as an example of a roof/tailgate set up. Looking for a bike rack for your Alfa Romeo 4C? Buy the SeaSucker Mini Bomber, available through our online store. Like our motto says! NO DRILLS, NO SCREWS, NO PROBLEMS!! !